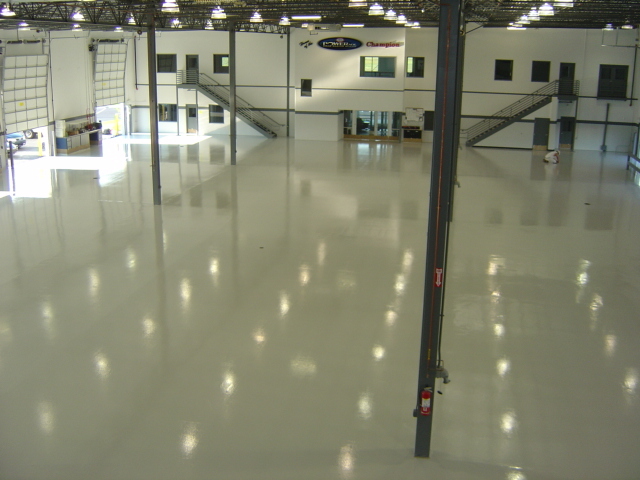 Ultraviolet or UV rays from the sun and indoor light fixtures can cause some industrial epoxy flooring surfaces to fade, discolor and chalk over time. UV-resistant flooring from Surface Solutions is formulated to reduce the impact of ultraviolet rays on surfaces that are exposed to direct sunlight. Floors using UV-resistant solutions are also resistant to impact, moisture, chemicals and frequent temperature changes. Available in a wide variety of colors, textures and applications, UV-resistant flooring can protect against slips, falls and skids. Surface Solutions provides expert consultation and installation, and a full line of UV-resistant flooring solutions in addition to other industrial flooring systems. We are committed to 100% customer satisfaction on every project.